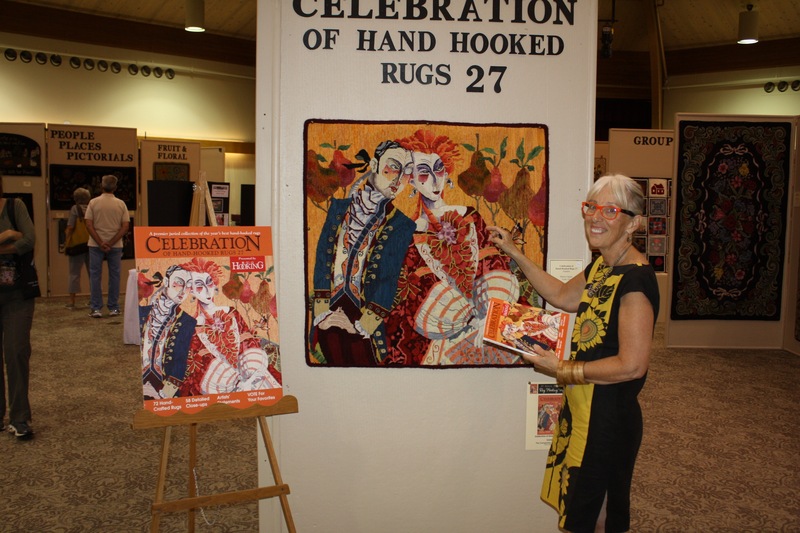 Exciting email today, juror Jane Dunnewold, President of Surface Design Association accepted “Haying Stages” into the upcoming 7Stitch: Contemporary Textile Art from Kentucky & the Surrounding States exhibit at Morehead State University, Morehead, Kentucky. 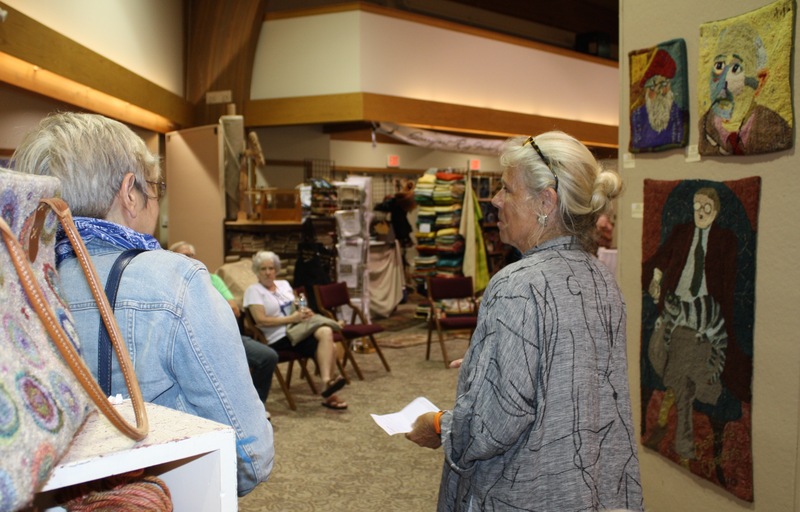 Coordinated by the Kentucky region of Surface Design, the collection of 35 fiber works will open on June 1 with a reception from 3-5pm at the Claypool-Young Art Gallery and continues through August 30, 2013. 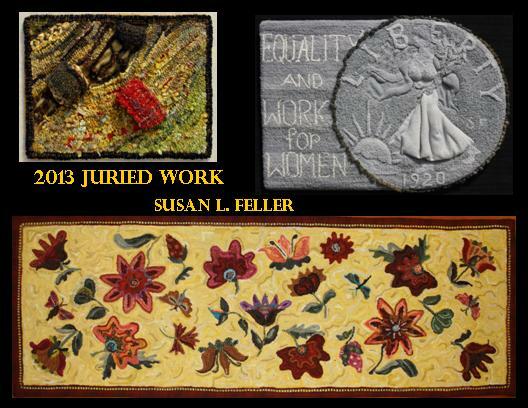 This entry was posted in elements and design in art, Fiber Musings, juried art exhibit, textile art, travel and tagged fiber art exhibit, fiber artists, fine craft, Surface Design Association, Susan Feller, Susan L. Feller on April 16, 2013 by Susan L. Feller. 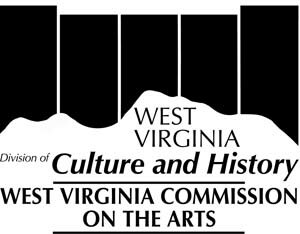 Two works were juried into the 2012 “Best of West Virginia” Exhibit in Tamarack’s David L. Dickirson Fine Arts Gallery this summer. 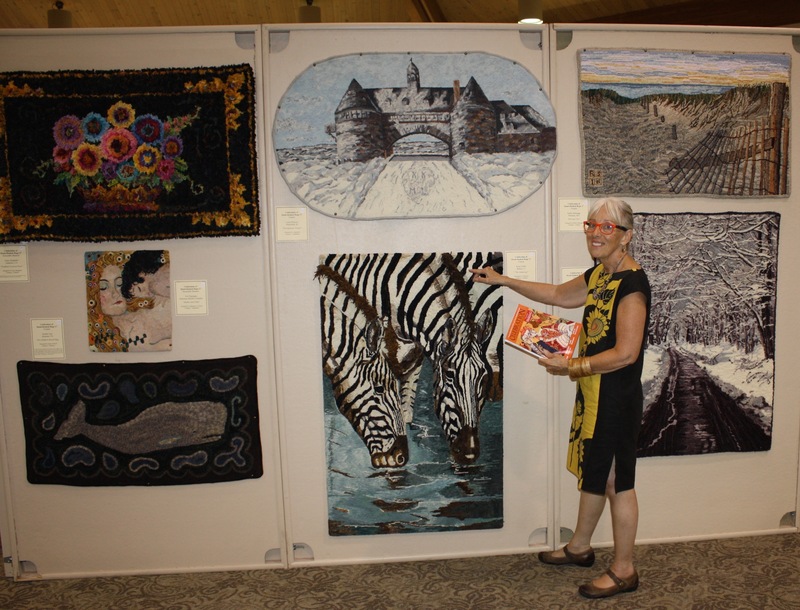 The exhibit is open through August 18, 2012 at Tamarack-WV in Beckley, WV just off I64 and I77. 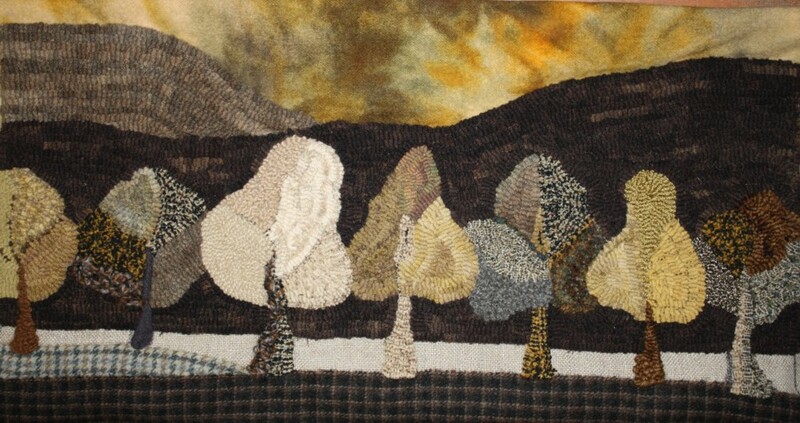 This piece is 10″ x 40″ created using alpaca yarns spun by Capon Bridge Fiber Works and incorporating as-is wools in the neutral palette of a geological Vein of Energy-Coal, the lifeblood of so many people in our state. The fibers spoke organically to me as I worked pulling loops of intertwined values to compose the pockets of minerals. The tactile experience of different fibers slipping through my fingers and rhymic pace loop pulling produces takes me to a pleasurable creative zone both physically and mentally. Another neutral palette, this time using hand dyed wool, alpaca and synthetic yarns. 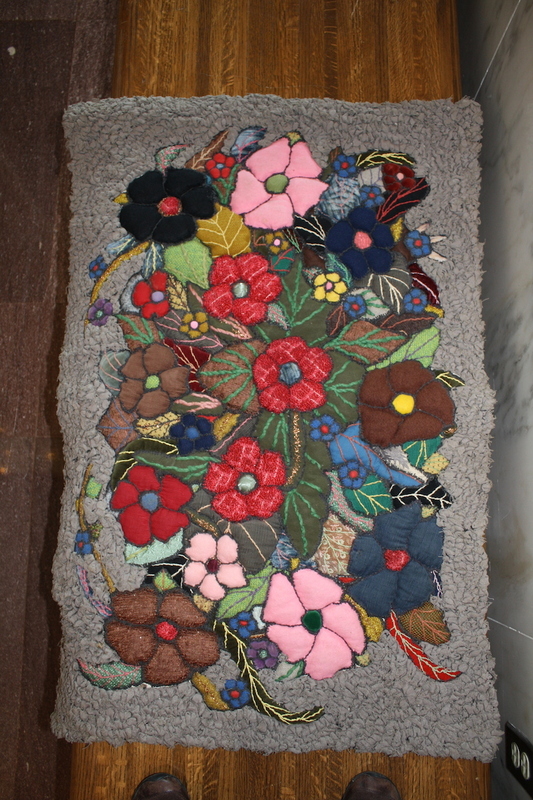 The techinques include fiber hooking, and applique. To emphasize the foreground and distant skyline I stitched fabric to the linen backing which was the foundation for the entire work. The backing can be seen as the field behind the treeline. See an earlier post for the thought process I went through to “finish” the piece. This piece has sold. 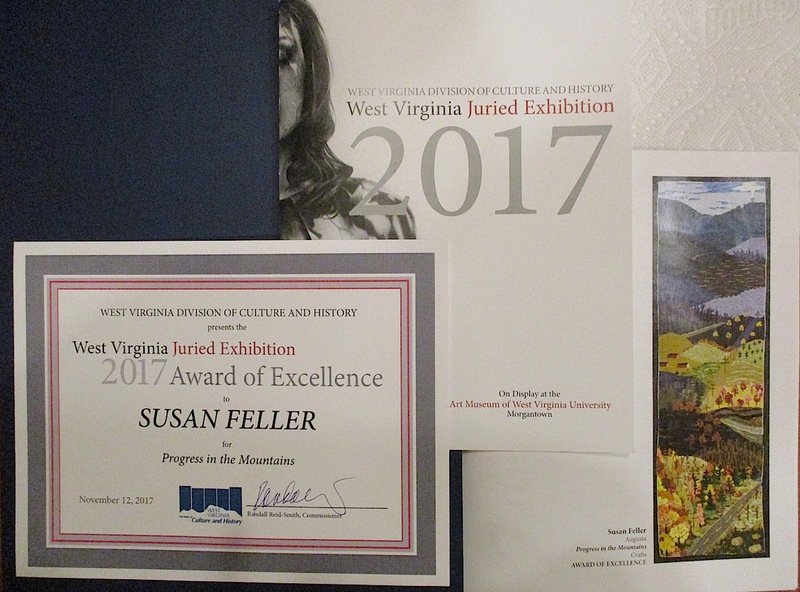 This entry was posted in juried art exhibit and tagged fine craft, Susan L. Feller, Tamarack, the best of West Virginia on July 14, 2012 by Susan L. Feller. 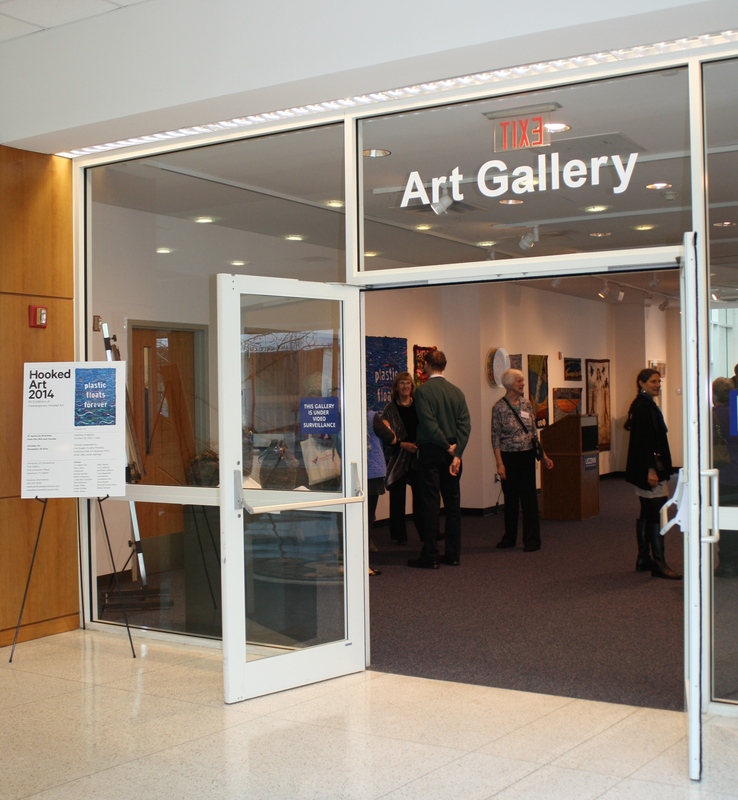 Artists juried into Tamarack’s David L. Dickirson Fine Art Gallery in Beckley, WV in the past 18 months are featured in the exhibit opening with a reception on Sunday, January 22. The show will be up through March 23. This collection was inspired by the shadows cast by objects along the roadway onto surfaces in front of me as I drove the thousands of miles this past year. One image stayed in my mind of large round hay rolls lined up at the fencerow and 10:00 sunlight. There are two sets: one depicting the grassy field and then textured roadway; the other with a light snow on the grasses and roadway showing a slushy tire track. The fifth image is the view out our kitchen window. Winter now with oak trees retaining their light brown leaves and the other hardwoods barren against a cold white sky. I incorporated alpaca yarns, spun in Hampshire County at the Capon Bridge Fiber Works into the piece adding a soft texture. All the works are 5″ x 13″ mounted on 8″ x 16″ covered stretcher bars They are priced at $135 each and available directly from the Tamarack-Gallery. 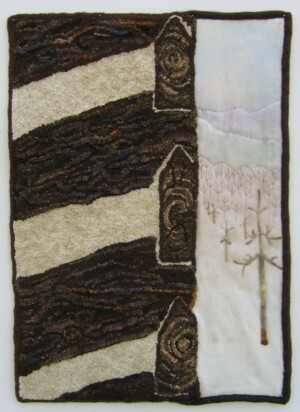 This entry was posted in hooked rugs, juried art exhibit, textile art, travel and tagged fine craft, juried fine craft, Ruckman Mill Farm, Tamarack, west virginia, West Virginia Culture and History on June 2, 2011 by Susan L. Feller.